It’s February, the time for love! If you haven’t planned a romantic getaway aboard your Philadelphia RV yet, perhaps this will be just the push you need! Here we’ve got the scene setting accessories to make your evening a success. Not only will you have everything you need but also you’ll have the pleasure of avoiding the crowds and waiting while out on the town. Here’s to having the best Valentine’s Day yet! Not that you needed a reason to get close but now you’ve got one! 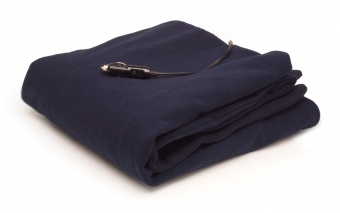 Presenting RoadPro’s Fleece Heated Blanket that stretches 58” x 42.5 to ensure maximum coverage. No matter how cold it gets while you’re out, you’re sure to be toasty with only a 12-volt power source needed. Cuddling never felt so good! Speaking of warmth, before you settle in for the night, you’ll probably have something else keeping you warm. The campfire is not only another great time to get close; it’s the best time to make a Panini for two. That’s why Coghlan’s came out with the Camp Stove Toaster! The steel construction makes sure it doesn’t rust or warp and with room for up to four slices at a time, you’re sandwiches will be toasty in no time! Sunset comes but once on Valentine’s Day. Be prepared to soak in the moment by not needing to move while you’re settled in front of the fire. All you need is a cooler situated between you and your sweetheart full of ice with a bottle of wine or nine cans of your favorite 12oz beverage. 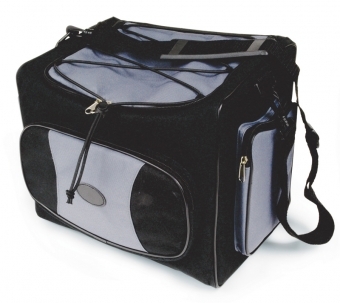 RoadPro has a 12-volt cooler that can also double as a warmer and is always ready for your thirsty needs. Have you tested any of these RV accessories for your Valentine? All of these and more are available in our catalog. Let us know which ones you like best by sending us a tweet here. Feel free to give us a follow on our other social channels as well, such as Facebook, Pinterest, and Instagram.